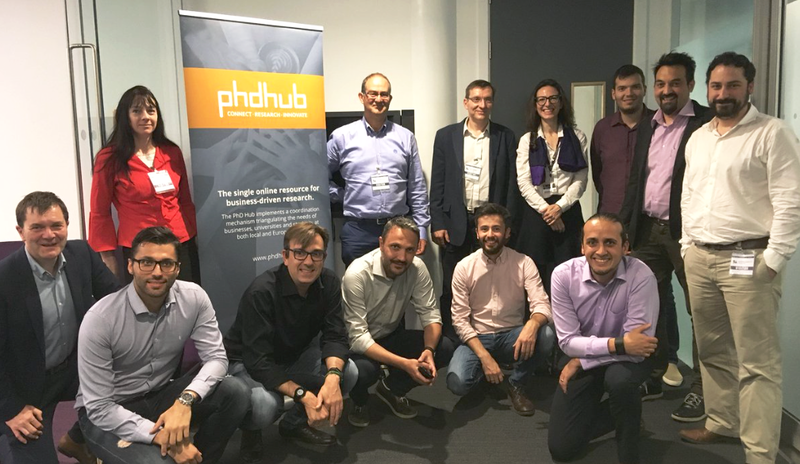 On May 30th, the European PhD Hub consortium met at Birmingham City University (BCU) to assess the first six months of project development and plan the activities ahead. The working meeting focused on further refining the cooperation framework the project will establish in the field of doctoral education, setting the basis for building high impact research activities for PhD students, universities and industry/business partners. The second part of the meeting was dedicated to approving the outline of the online Hub, which will connect universities, businesses and researchers at local and European level with a view at increasing matching opportunities. These matching opportunities will enable increased international and interdisciplinary cooperation and lead to innovation opportunities for industry and business partners and improved career perspectives for PhD students. Furthermore, partners took part in the annual Innovation Fest hosted by BCU on May 31st. This event offered business partners the opportunity to interact with students from the faculty of Computing and Engineering and experience their creative talent.